the adventures of tartanscot™: "Happy Halloween . . . "
Oh these are good...very good! Now those are my kind of pumpkins! And a happy Halloween to you too, Tartanscot, Scot! so you. cute. happy halloween. intersting photo! Happy Halloween to you too! These are so extraordinary, only you could find such an image. Halloween is gone but a Big Day is coming for you, more cakes and sweets I hope. If you have time read my latest post on a luxury real estate magazine and an article I wrote for them on Milan. Hope you'll like it. Ciao. Wow! 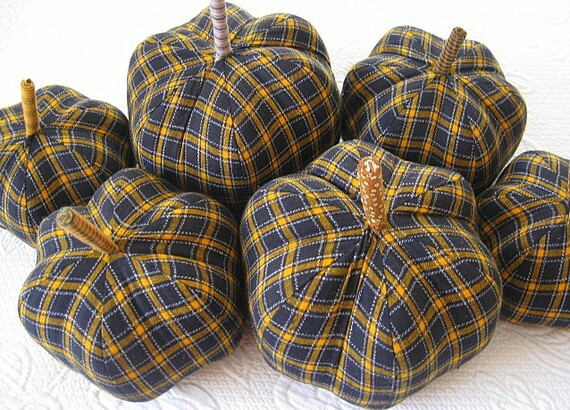 So fitting that you should find tartan pumpkins! How can I get some? You can click through on the 'etsy' link - they're available for sale there . . .